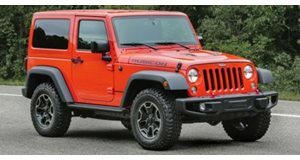 Could the Renegade or Wrangler really sell as well as the Toyota Corolla or is Sergio Marchionne smoking something? Like a soon to be defunct version of Tesla, lots of Fiat Chrysler’s hopes ride on a dream of the future that's only vaguely reminiscent of its present. It has a historical name behind it, but even with legends like Alfa Romeo, Maserati, Dodge, and Jeep in under the FCA umbrella, the entire company seems to be propped up by a few highly profitable models and little else. However, CEO Sergio Marchionne thinks that potential for growth in FCA’s best-selling subsidiary is aplenty, reports Bloomberg. Marchionne specifically cites Jeep, one of FCA’s most profitable brands, as the miracle grower. While Jeep has recently hit some good times by catching the wave of SUV mania with a slew of desirable models like the Renegade and Wrangler, Marchionne thinks that sales could grow by 30% next year to 2 million vehicles. Eventually, Marchionne hopes that number will grow more than three-fold so that FCA’s SUV subsidiary is selling 7 million Jeeps per year. As Bloomberg outlines, predictions like that indicate that there may be some of the good stuff in Marchionne’s pipe, particularly because growth like that would be unprecedented—especially for a brand that sold only 300,000 vehicles in 2009 before the Fiat joined the party. Marchionne's ideal scenario where Jeep grows to sell 7 million units per year and an eventual plateau at that number would require the automaker to have at least one model in its lineup that sells a million units per year according to ISH Markit. That's the same number of Corollas as Toyota sells globally within a year. Jeep has undoubtedly had a good year, and FCA is capitalizing on that popularity by pushing the brand into the global market, opening up factories in Italy, China, Brazil, and even India in attempts to put more seven-slat grilles on roads around the world. Marchionne's words come during a time when FCA is considering spinning off Jeep to sell it, which, as many analysts speculate, would be a terrible idea. Never a boring day at FCA, is it?